Our new home at The Source club, Maidstone! We are excited to announce our new main teaching venue is now based within The Source in the very centre of Maidstone town, a high-profile nightclub that regularly hosts internationally known DJs and features a state-of-the-art sound system and professional DJ equipment. Our students can now get behind the same decks that have been graced by DJs such as Pete Tong, Carl Cox, Annie Mac, Mark Knight, Shadow Child, James Zabiela, Zane Lowe, Hot Since 82, Shy FX and many more (read more here). We can also get our students ready to play DJ sets in front of live audiences at The Source on regular public club nights; the ultimate DJ lesson! At our new location, we continue to feature Pioneer CDJs (2000 Nexus) and club standard Pioneer mixers on top of our range and expert knowledge of laptop controller equipment and DJ software (such as Traktor, Serato etc) as well as teaching classic turntable vinyl skills. We can help you master any equipment you own or want to use, learn a creative skill, boost your confidence in a fun and relaxed environment. 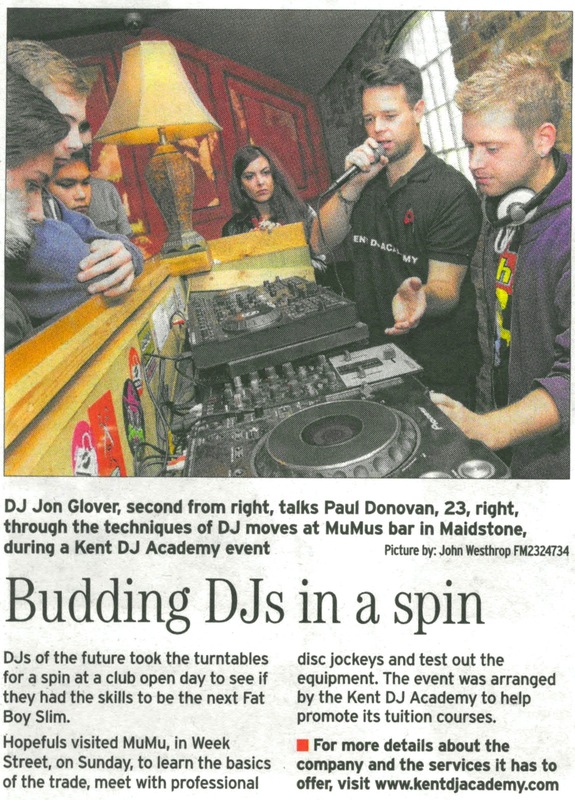 If you want the head start you need to be a great DJ, the Kent DJ Academy looks forward to welcoming you soon! 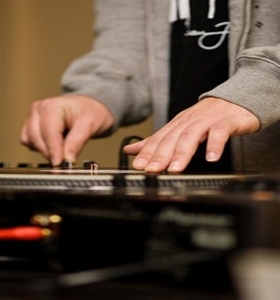 So what does a typical modern DJ (or DJ tutor) have in their gig bag? External hard drive – bootable backups of the laptops (we recommend Carbon Copy Cloner software for Macs) plus drive spare USB cable, for the really paranoid DJ! Mints – no one likes a DJ with bad breath! Jack to phono lead – if you ever need to resort to playing music off your iPhone! This kit covers various gigs and setups; vinyl (DVS), CDJs and controllers as we regularly use all of them! Spares are a big theme here, always be prepared! Of course DJs can risk turning up with just a pair of headphones and their music collection on USB drives/records/CDs, and as you can see laptop and controller DJs need a bit more, but we literally cover it all! Tara McDonald, performing artist most famous for vocals on Armand Van Helden’s ‘My My My’ and Axwell’s ‘Feel The Vibe’ (plus many more), at her first live gig last weekend. First of many! On Wed 8th April and Wed 15th April, 12-4pm, we are offering fun group sessions at a Maidstone nightclub introducing young people to basic DJing skills and the chance to get on the decks! Only £25 per person, open to ages 14 to 18. If you don’t already know Sarah, pay attention. She is a hard-working and well-connected driving force, passionately managing artists, DJs and producers across the UK and overseas. Check out her work at www.facebook.com/MccloyPromotions, via twitter.com/McCloy15 and associated Twitter accounts. If you are seeking bookings or have bookings to fill this is the lady to speak to. We teamed up with Kent Scouts at the Active8 2015 event at Chatham Historic Dockyards and got several future DJs behind the turntables and mixing with controllers. Thanks to all that put the time and effort into such a fantastic event. Celebrating World DJ Day, we are pleased to welcome Jo Georgiou to the DJ Academy who today has won a free 3 hour DJ lesson! Thank you to all who attended our Open Day in November, and to all that helped and supported! It was great meeting you all and chat about what you’d like to get from DJing. Please check out our Private Tuition page for details on our one-to-one teaching.